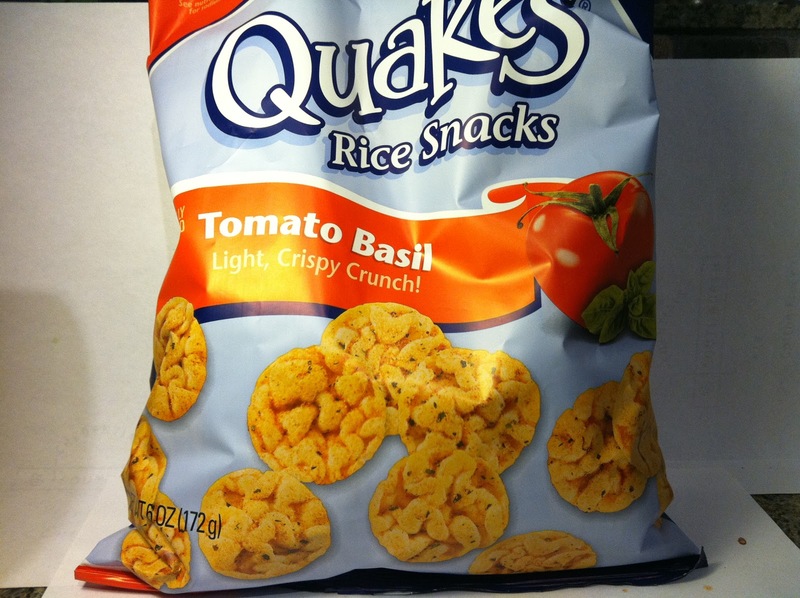 Editor's Note: While the product has stayed the same, Quaker now markets these under a different named and they are now called "Quaker Popped Tomato Basil Rice Snacks." The review below applies the same. 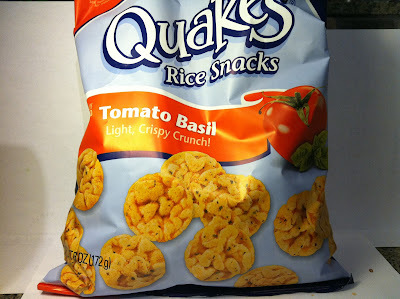 The next Quakes review and hopefully one of the last for a long while because I am frankly fatigued on these reviews, is a flavor that is so new (it says it on the bag, but my superior photography skills cut that part off) that Quaker does not even have a website for the flavor! 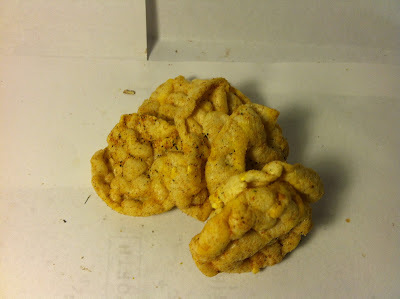 It's a flavor that I saw in while meandering through Walmart in a large bag for $2.59. Each serving is 130 calories and in this large bag, there's about six servings. In terms of taste, I can't really say enough about these. They were delicious. Both the tomato and basil flavorings came through quite strongly and made me feel as if I was eating a powdered version of a tomato sauce that packed a big punch. It wasn't so strong that it overpowered the Quake, but it was strong enough that you definitely knew what was in your mouth as you were chewing and I appreciated that. Also, I should point out that, at least in this bag, every single Quake was well covered. That's a common problem with these Quakes, but it's one that these Tomato Basil Quakes do not have. Buy It or Fly By It? Absolutely BUY IT and don't even think twice about it. Of the savory/powdery version of Quakes, these are one of the best flavors they have. Between these, the BBQ and the Cheddar Cheese Quakes, I'm not sure which is best, but you can't go wrong with any of them. Are these okay to eat for people who are on a diet? Depends on the diet and that would be up to the dieter and/or their physician.